The Hershey Bears are one of the longest serving teams in the AHL as they officially joined the league in 1938, two years after the league was founded and the first year of the International-American Hockey League (IHL) and the Can-American Hockey League (C-AHL) merger. 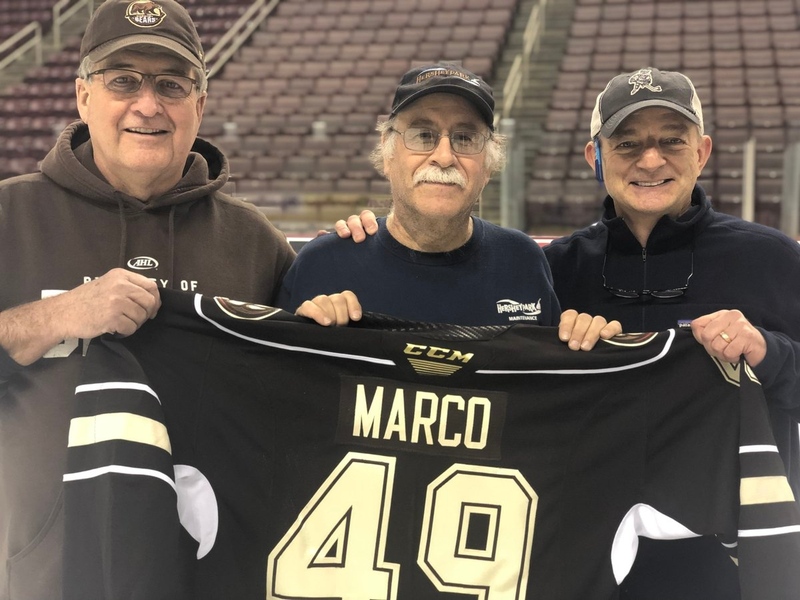 During the team’s practice on Wednesday morning, the organization made an extremely classy gesture as they sent David W. Marco, a Giant Center employee and former Hersheypark Arena employee of 42 years, out in style. Marco, the Utility Lead at Giant Center, spent 42 years working for the team at the arena and played a key role in making sure everything ran smoothly year after year. He started at the team’s former home, Hersheypark Arena, and made the move with them to their new home in 2003. Since Wednesday was his final day on the job, the team surprised him with his own custom Hershey Bears jersey and took a team photo with him at centre ice before letting him head off into the sunset.